Description. 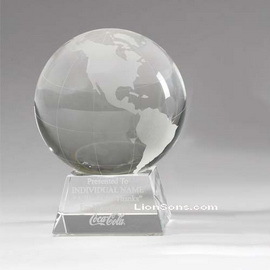 : Optical crystal globe fixed with a coca-cola artwork engraved base. Custom design can be laser etched inside the globe also. Standard Dimensions. : sphere - 40mm (1.6 inches), 50mm (2 inches), 60mm (2.35 inches), 70mm (2.75 inches), 80mm (3.15 inches), 100mm (3.94 inches), 120mm (4.7 inches), 150mm (6 inches), base- depends on the ball, bespoke sizes are available. Description. 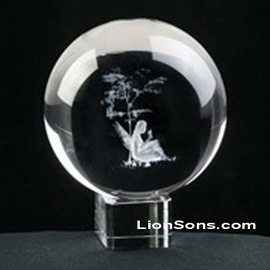 : Standard optical crystal ball, with customized earth artwork 3d laser engraved inside. Bespoke words and slogan can be etched inside also. Standard Dimensions. : sphere - 40mm (1.6 inches), 50mm (2 inches), 60mm (2.35 inches), 70mm (2.75 inches), 80mm (3.15 inches), 100mm (3.94 inches), 120mm (4.7 inches), 150mm (6 inches), bespoke sizes are available. Description. 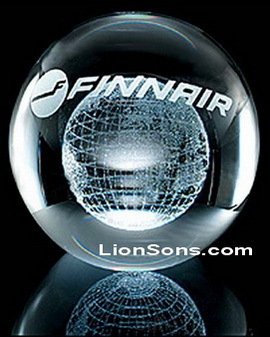 : 3d laser engraved crystal sphere fixed with a blank crystal base. Standard Dimensions. :sphere - 40mm (1.6 inches), 50mm (2 inches), 60mm (2.35 inches), 70mm (2.75 inches), 80mm (3.15 inches), 100mm (3.94 inches), 120mm (4.7 inches), 150mm (6 inches), base- depends on the ball, bespoke sizes are available. Description. 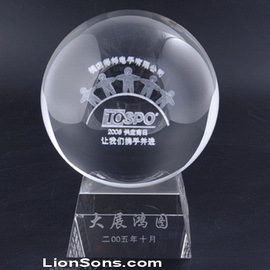 : crystal ball with customized design and text engraved inside the ball and base.